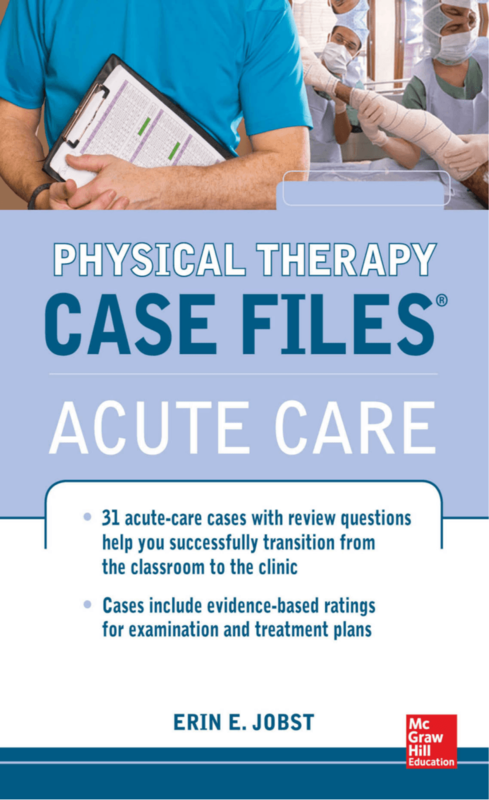 New in the authoritative Case Files series, Physical Therapy Case Files: Acute Care gives you case studies that illustrate critical concepts you need to build and enhance your skills in physical therapy. Each case includes a discussion of the health condition, examination, evaluation, diagnosis, plan of care andinterventions, evidence-based practice recommendations, andreferences. NPTE-style review questions accompanying eachcase reinforce your learning. With Physical Therapy Case Files: Acute Care, everything you need to succeed in the clinic and on the NPTE is right here in your hands.